3 years, and miles to go before I die! Assalamu Alaikum wa Rahmatullah wa Barakaatuh. Alhamdulillah, this blog has completed three years since its launch and establishment. When I initiated this blog, I was not sure how it will go but This is Only from the Grace and Mercy of My Lord that I am able to manage and keep the pot boiling. I am extremely grateful to Almighty Allah for having blessed me with this expressive medium to write something out of the knowledge that He has provided me with. I thank my sincere subscribers and all readers for supporting this blog all along. Special thanks 🙂 to those readers who take time to comment. Seizing this occasion, I would like to thank Bihar Anjuman for being magnanimous enough to include some of my posts in their News Magazine, alhamdulillah. It is no exaggeration that huge resources are available through this blog, alhamdulillaah and bi-ithnillaah. Hasbunallahu Wa Ni’mal Wakeel is the top post of this blog, alhamdulillah. However, given the amount of work done here, I feel that the reach is not all satisfactory. On a daily basis, the blog is not even crossing 400 hits, which itself is not even a drop in the ocean. I request everyone who is reading this post to please spread the word about this blog, for the sake of Allah and His Kitaab, through all means Inshaa’Allah. If you do not like the blog, then its fine. But if you like it and want to spread the khayr – and know that Allah has promised great rewards for spreading the khayr – then please do share this blog with your family and friends. I would like to mention here that in the beginning I was taking posts from popular websites and posting here but since more than a year I have stopped doing so. The exception of course is if I come across something worthwhile to share I do so, otherwise all posts are mine, alhamdulillah. I thank Allah for all the right things said and done and I seek His forgiveness for all my errors and mistakes. The chances have just begun. The best work hasn’t been done! Wa Ma Tawfeeqee il-laah bil-laah: My success in my work can come only from Allah. 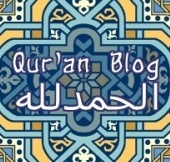 Inshaa’Allah I hope and pray that this blog continues until my last breath, and beyond, Inshaa’Allah. May Allah accept this as Sadaqatul Jaariyaah, Inshaa’Allah. Aameen. May Allah bless all my readers with abundant goodness. Aameen. 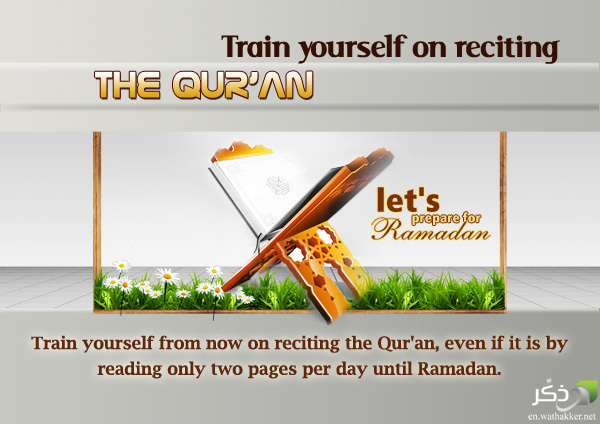 I do hope that you all will continue to give your support to this Qur’an blog by visiting regularly and alerting me if I go wrong. Before I conclude, I would request YOU, especially e-mail subscribers and fellow bloggers, to give your opinion about this blog and suggest ways to improve, Inshaa’Allah. You’ve done a very wonderful job with this blog and may Allah continue to bless you more with knowledge and wisdom to impart to readers who are searching for the true meaning of Islam. Jazakillaahu Khayra and Baarakallaahu Feek. I have learned a lot from your posts. May Allah bless you for sharing your knowledge with us, and to your patient wife as well!! Aameen. Thank you so much. Nice to have you here. Subscribe for the updates.